If you're investing in crypto currencies for the last six months, your portfolio might be in double, triple or maybe flat. Last June 15, 2017 the value of Bitcoin (BTC) is only $2385 per token and I thought it is too expensive to invest. The Ethereum (ETH) is at $328.22, Ripple (XRP) for $0.258851, NEM for $0.186179, Ethereum Classic (ETC) for $17.30, Litecoin (LTC) for $28.58, Dash for $155.37, IOTA $4.1e-07, BitShares for $0.302266, and Stratis (STRAT) for $7.41. 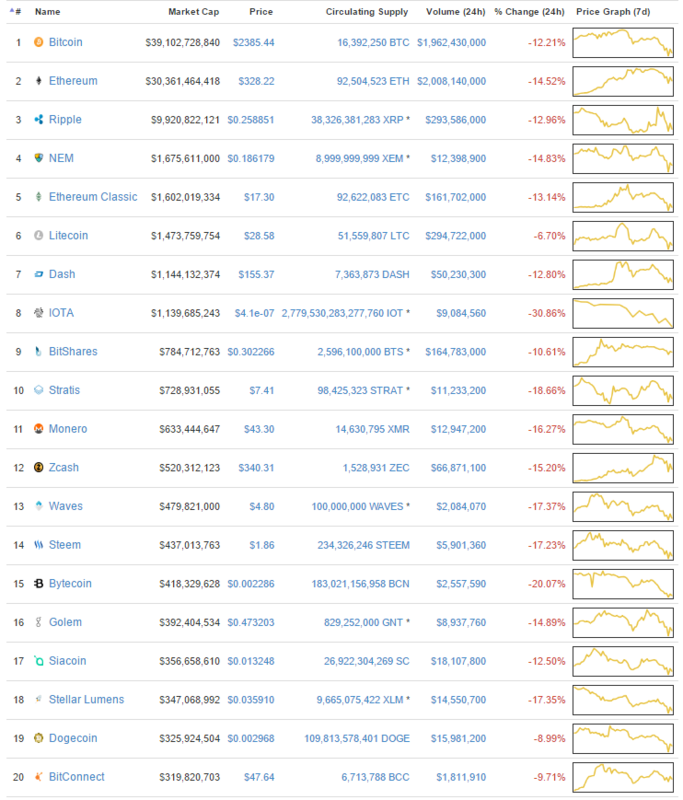 They are the Top 10 Cryptos at that time. 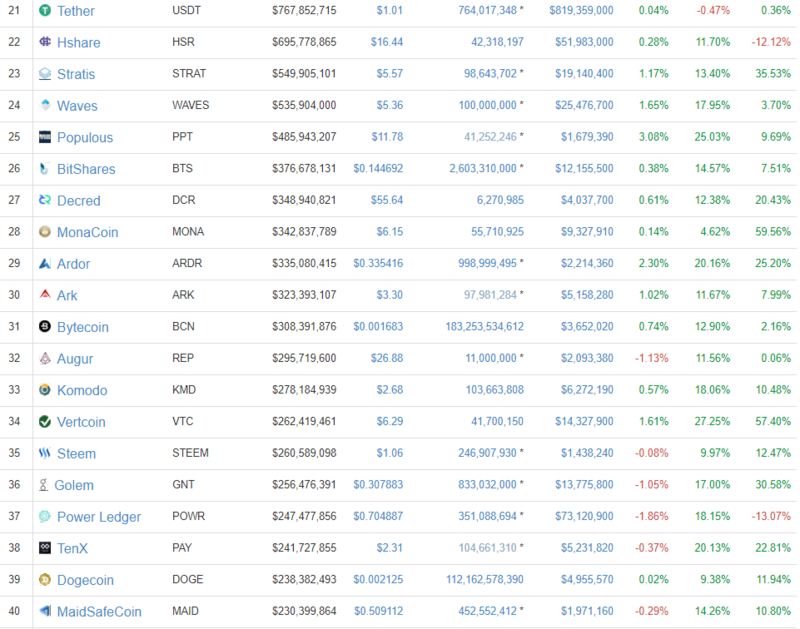 See the chart below to see the rest of Top 20 crypto currencies. 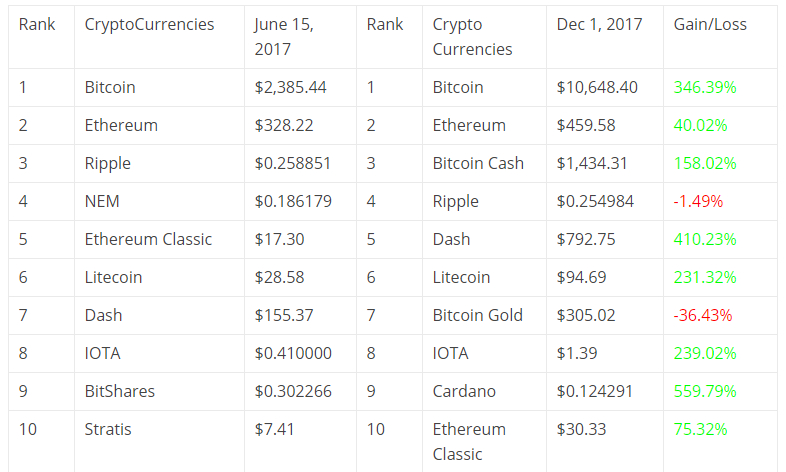 Fast forward December 1, 2017, we have a new Top 10 crypto currencies. The value of Bitcoin is $10,648.40 last time I checked, it also reached the $11K per token. Many became millionaire for year 2017 because of Bitcoin. The Ethereum (ETH) hold the second place for $459.58. The break away Bitcoin Cash (BCH) at 3rd place, $1,434.31 per token bumping down Ripple (XRP) for $0.254984 which is a flat investment so far. Dash move up to 5th place for $792.75. Litecoin (LTC) still at 6th place, but the value increases to $94.69 per token. The Bitcoin Gold (BTG) another version of old Bitcoin in 7th place for $305.02 per token. The IOTA remain at 8th place for $1.39. The Cardano (ADA) which I never heard before in 9th place for $0.124291 per token. When I write this article the gain for the last 7 days of trading is 340% growth compare that to Bitcoin 29.21% or Dash 40.29%. I have to revisit Cardano and find out why many trusted this crypto currency. 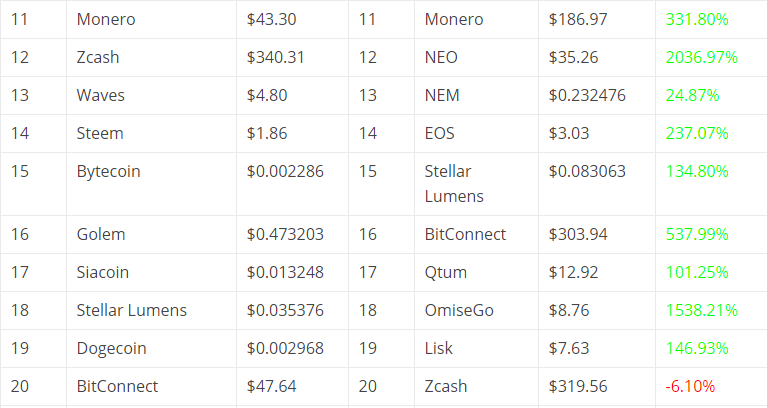 The 10th place belong to Ethereum Classic (ETC) for $30.33 per token. 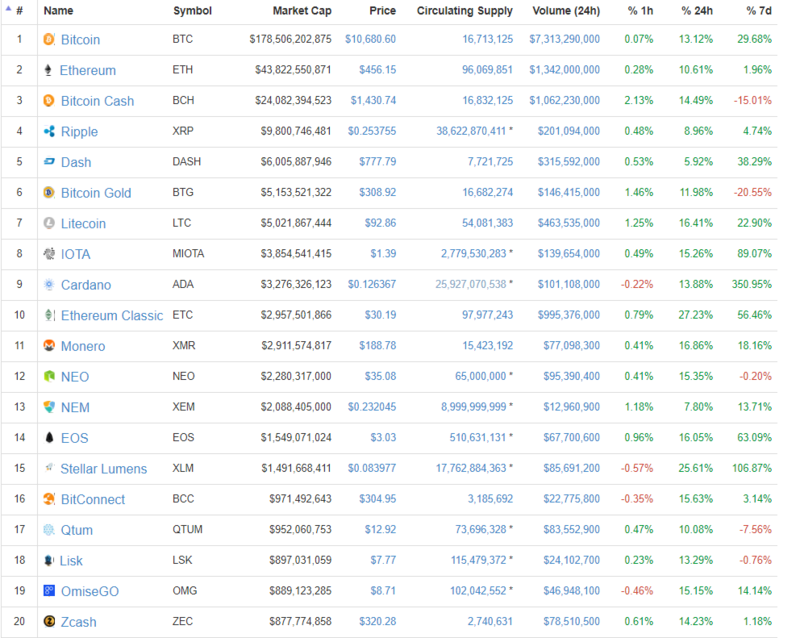 See captured screen shot below courtesy by CoinMarketCap.com for the list of Top 40 Crypto Currencies before ending Y2017. Crypto Currencies Gains/Losses from June 15, 2017 market price (or their initial price) to December 1, 2017 and Bitcoin is not the highest gainer see the table below. I've created this report to see who's performing well among them. This report is based on a public records. Do your own due diligence and invest wisely.